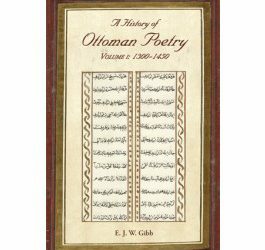 Volume V (originally published 1907) concludes Gibb’s study of Ottoman poetry. It contains three chapters on the ‘modern school of Ottoman poetry’ drafted by him and edited by Browne. Emerging around 1860, this modern school was a product of the Ottoman tanzimat reform era and was strongly influenced by the ‘inspiring genius’ of western, particularly French, literary models. To Gibb, it signified ‘a great awakening’. Chapter I provides a general introduction to the poets of the period and their literary and political circumstances. 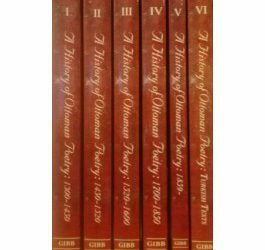 Chapter II is devoted to Şinasi Efendi (d. 1871), ‘the master who laid the foundation of the new learning’; chapter III presents Ziya Bey, later Pasha (d. 1880), a prolific writer in both prose and verse and translator of many French literary works into Ottoman. Gibb died before he could begin an intended study of the person he considered the greatest poet of this new school, Namik Kemal (d. 1888). 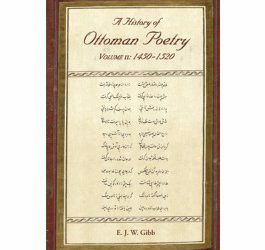 Volume V contains over 100 pages of indices to all five volumes: of persons and places; of books, journals and poems; of ‘technical terms and Oriental words’, and of subjects. The indices were compiled by R. A. Nicholson.